Your Agreement with i Luv Wireless, LLC., including its affiliates, assignees, and agents includes these Terms and Conditions ("T&Cs") and your Rate Plan terms, (collectively "Agreement"). Your Rate Plan includes your monthly Service allotments for minutes, message or data "Allotments", rates, coverage and other terms ("Rate Plan"). In this document: (1) "we," "us," "our," "VW," and "i Luv Wireless, LLC." includes any and all services provided i Luv Wireless, LLC. ; (2) "you," "your," "customer," and "user" mean any account holder with i Luv Wireless, LLC. ; "Device" means any phone, SIM card, mobile broadband device, any other device, accessory, or other product that you OWN or that we SELL to you, or is active on your account with us; and (4) "Service" means our offers, rate or service plans, wireless services, options, programs, applications, products or Devices on your account with us. Service(s) also includes any other product or service that we offer or provide to you that reference these General Terms and Conditions ("T&Cs"). To the extent any term in your Rate Plan expressly conflicts with these T&C’s, the term in your Rate Plan will govern. You represent that you are at least 18 years of age or older (21 years old or legally emancipated if you are a Puerto Rico customer). You may designate others to use or manage or make changes to your account ("Authorized User"). You and Authorized Users will have access to all account information upon required validation process. If you give your personal account validation information to someone, they can access and make changes to your account just as you can. Those changes will be binding on you. 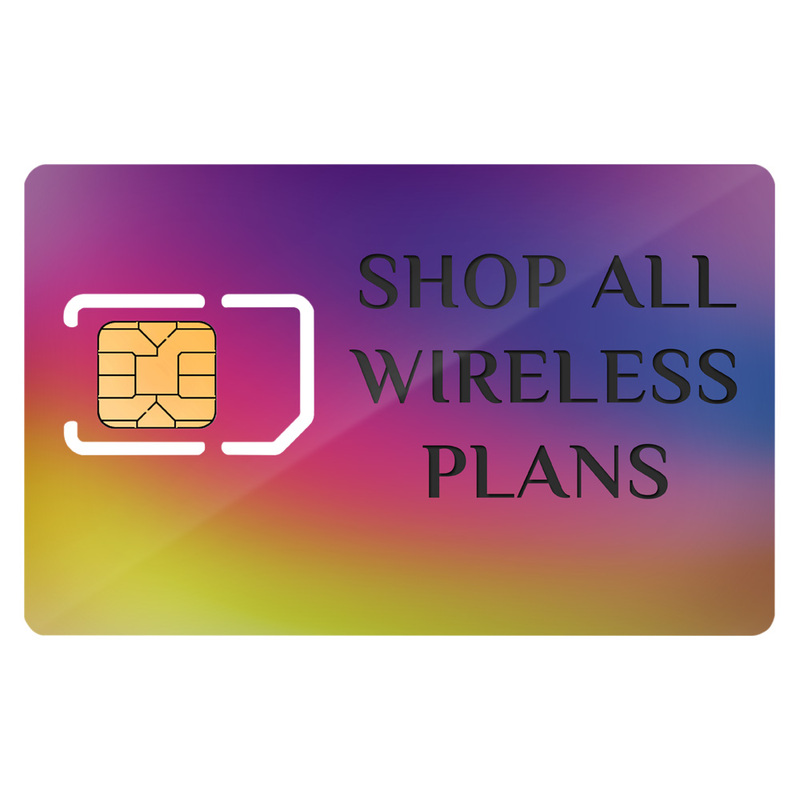 i Luv Wireless LLC determines the types of Service, Rate Plans or Service Plans (collectively "Rate Plans") that we offer to You. Different Rate Plans and Services may be offered to different groups or entities or based on specific geographic locations. The Rate Plan and Services you choose determine the charges and fees you must pay for Prepaid Wireless Services. We reserve the right to chanhe pricing for plans, services, features or optional packages with (30) thirty days notice. You have agreed to have i Luv Wireless, LLC. provide you prepaid service for the term specified on the plan selected. All charges incurred will be deducted automatically from your account. Any amounts loaded into your account are not transferable or refundable. You should make your best reasonable effort to secure your Phone and replenishment airtime cards. No refunds or other compensations will be given for returned, expired, lost, damaged, or stolen cards. Amounts deposited to your account expire between 0 to 365 days depending on card denomination. However, if additional amounts are placed into your account before the current account balance expires, the existing balance will be carried over to the new expiration date. If new amounts are not added to your account prior to the expiration date any remaining amounts will be forfeited. Your account may be canceled if there is no usage (billable or non-billable) or if the balance remains as $0 for 45 (forty-five) consecutive days or more and you may be required to pay a fee to resume service. Credit card replenishment is available; limitations apply. In some instances you may be able to complete a call when the billing system is inoperable. When this occurs you will not receive correct balance information. All calls, however, will be deducted from your account and the balance updated when the billing system is restored. You are responsible for all data usage sent through our network and associated with the Device, regardless of whether the Device actually receives the information. For our 30 day plans: Airtime expiration is 30 days from date your refill card is loaded onto your phone. To ensure uninterrupted service, you are required to recharge your account at least once every 30 days. Your account may be canceled if the balance remains at $0 for 45 consecutive days or more. i Luv Wireless, LLC. has the right to discontinue temporarily or terminate your Service without notice to you if: (a) you fail to pay any amounts due by the due date, (b) we believe you have breached any part of this Agreement, (c) we cease to furnish the Service, (d) we believe your Service is being misused or used by anyone for unlawful activity, (e) your use of the Service adversely affects service to other customers, (f) you provided inaccurate or false information to us, (g) if your principle residence is not within our i Luv Wireless, LLC. service ares (h) verbally or physically abuse an employee or agent of i Luv Wireless, LLC.. If you sign up for recurring billing you selected method of payment will be billed on a monthly basis and you are responsible for paying all charges for or resulting from the Service provided under these terms and conditions. You are responsible for all authorized and unauthorized use of each wireless phone associated with this Agreement. Billing cycles may change from time to time. You are responsible for paying your monthly service fee if your service is suspended for nonpayment. Charges include, without limitation, international roaming, recurring monthly service, administrative and late payment charges; optional feature charges; directory assistance charges; international calls billed to your wireless telephone number and applicable taxes and government fees. You agree to pay all applicable federal, state and local government taxes, fees and surcharges including but not limited to, charges relating to Universal Service (USF), Call Assistance for Law Enforcement Act (CALEA), Telecommunications Relay Service Charges (TRS), implementation of Local Number Portability (LNP) and E911 Phase 1 and Phase 2 emergency services. i Luv Wireless, LLC. agrees to give you reasonable prior written notice if any such costs and/or charges are implemented or changed after your service activation date. WE EACH AGREE THAT, EXCEPT AS PROVIDED BELOW (AND EXCEPT AS TO PUERTO RICO CUSTOMERS), ANY AND ALL CLAIMS AND DISPUTES IN ANY WAY RELATED TO OR CONCERNING THE AGREEMENT, OUR SERVICES, DEVICES OR PRODUCTS, INCLUDING BILLING DISPUTES, WILL BE SESOLVED BY BINDING ARBITRATION OR IN SMALL CLAIMS COURT. This includes any claims against parties relating to Services or Devices provided, charged and/or sold to you (for example, our suppliers, dealers or third party vendors) whenever you also assert claims against us in the same proceeding. We each also agree that the Agreement affects interstate commerce so that the Federal Arbitration Act and federal arbitration law apply. (1) PLEASE READ THIS SECTION CAREFULLY. ARBITRATION MAY LIMIT RIGHTS YOU MAY HAVE AND PROVIDES FOR RESOLUTION OF MOST DISPUTES THROUGH ARBITRATION. ARBITRATION IS DIFFERENT FROM COURT AND THE RULES, INCLUDING DISCOVERY ARE DIFFERENT. THERE IS NO JUDGE OR JURY IN ARBITRATION, AND COURT REVIEW OF AN ARBITRATION AWARD IS LIMITED. THE ARBITRATOR MUST FOLLOW THIS AGREEMENT AND CAN AWARD THE SAME DAMAGES AND RELIEF AS A COURT (INCLUDING ATTORNEYS’ FEES). WE EACH AGREE THAT ANY PROCEEDINGS, WHETHER IN ARBITRATION OR COURT, WILL BE CONDUCTED ONLY ON AN INDIVIDUAL BASIS AND NOT A CLASS OR REPRESENTATIVE ACTION. REGARDING JURY TRIAL, IF ACLAIM PROCEEDS IN COURT RATHER THAN THROUGH ARBITRATION, WE EACH WAIVE ANY RIGHT TO A JURY TRIAL. (2) Any past, present or future claim, dispute or controversy ("Claim") by either you or us against the other, or against the employees, agents, successors or assigns of the other, arising from or relating in any way to this Agreement or Services provided to you under this Agreement, including (without limitation) statutory, tort and contract Claims and Claims regarding the applicability of this arbitration clause or the validity of the entire Agreement, shall be resolved, upon the election by you or us, by binding arbitration. However, a Claim does not include any challenge to the validity and effect of the Class Action Waiver, as set forth below, which must be determined by a court. The arbitration of any dispute or claim shall be conducted in accordance with the American Arbitration Association ("AAA") under the Wireless Industry Arbitration Rules ("WIA Rules"), as modified by this Agreement. The WIA Rules andinformation about arbitration and fees are available upon request from the AAA online at www.adr.org. The administrators are independent from us, and you must follow their rules and procedures for initiating and pursuing arbitration. If you initiate the arbitration, you must also notify us in writing. If we initiate the arbitration, we will notify you in writing at your then current billing address and send you a text message. Unless otherwise provided by applicable law, neither party has the right to bring a Claim or other legal action under these Terms and Conditions more than two (2) years after the cause of action arose. This arbitration agreement shall be governed by the Federal Arbitration Act and federal arbitration law (collectively the "FAA"), and shall be conducted under the applicable procedures and rules of the arbitration administrator that are in effect on the date the arbitration is filed unless this arbitration provision is inconsistent with those procedures and rules, in which case this Agreement will prevail. These procedures and rules may limit the amount of discovery available to you or us. The arbitrator will apply applicable substantive law consistent with the FAA and applicable statutes of limitations, and will honor claims of privilege recognized at law. Judgment upon any arbitration award may be entered in any court having jurisdiction. (3) No class claims, including class actions, class arbitrations, other representative actions, or joinder or consolidation of any Claim with a Claim of any other person or entity shall be allowable in arbitration, without the written consent of both you and us ("Class Action Waiver"). This arbitration agreement survives the termination of this Agreement or the Service relationship; provided, however, if any portion of this "Arbitration; Dispute Resolution" section cannot be enforced, that portion will be severed, and the rest of the "Arbitration; Dispute Resolution" section will continue to apply, provided that the entire "Arbitration; Dispute Resolution" section shall be null and void if the Class Action Waiver is held to be invalid or unenforceable with respect to any class or representative Claim, subject to any right to appeal such holding.? (4) IF ARBITRATION IS CHOSEN BY YOU OR US WITH RESPECT TO A CLAIM, NEITHER YOU NOR WE WILL HAVE THE RIGHT TO LITIGATE THAT CLAIM THROUGH A COURT. IF ARBITRATION IS CHOSEN, YOU AND WE WILL NOT HAVE RIGHTS THAT ARE PROVIDED IN COURT INCLUDING THE RIGHT TO A TRIAL BY JURY AND THE RIGHT TO PARTICIPATE OR BE REPRESENTED IN LITIGATION FILED IN COURT SUCH AS CLASS ACTION LITIGATION. OTHER RIGHTS INCLUDING THE RIGHT TO DISCOVERY AND THE RIGHT TO APPEAL ARE ALSO LIMITED BY ARBITRATION. BY USING THIS SERVICE, YOU EXPRESSLY WAIVE YOUR RIGHT TO A JURY TRIAL IN THE EVENT THAT EITHER PARTY SELECTS ARBITRATION TO RESOLVE THE DISPUTE UNDER THIS AGREEMENT. You agree to operate the wireless equipment in accordance with all FCC Rules. FCC Rules prohibit the transfer; alteration or emulation of the Subscriber Identity Module (SIM)/(MEID) Mobile Equipment Identifier, encoded in your wireless phone. UNLIMITED USE DOES NOT MEAN UNREASONABLE USE. To ensure that all customers have access to reliable services provided at a reasonable cost, you may not use our service in a manner that interferes with another i Luv Wireless customer’s use of our service or dis-proportionally impacts i Luv Wireless’ network resources. i Luv Wireless reserves the right, without notice or limitation, to terminate individual calls, or, after providing notice to you, offer you a different service plan with no unlimited usage components, or deny, terminate, end, modify, disconnect or suspend your service, or decline to renew your service, if you engage in any of the prohibited service uses detailed below or if i Luv Wireless, in its sole discretion, determines action is necessary to protect its wireless networks from harm or degradation. i Luv Wireless, LLC. voice services are provided solely for live dialogue between, and initiated by, two individuals for personal use & as otherwise described in this policy. i Luv Wireless voice services may not be used for any commercial or other similar purposes including, but not limited to, (1) conference calling; (2) monitoring services; (3) data transmissions; (4) transmission of broadcasts; (5) transmission of recorded material; (6) interconnection to other networks; (7) telemarketing; (8) autodialed calls; (9) other commercial uses; or other connections that do not consist of uninterrupted live dialogue between two individuals. i Luv Wireless, LLC. Data services are provided solely for personal, non-commercial access to the Internet for purposes of web browsing, messaging, and similar data activities as your authorized device’s native applications and capabilities permit & as otherwise described in this policy. i Luv Wireless Data services may not be used for any commercial or other similar purposes including, but not limited to, (1) with server devices or host computer applications or other systems that drive continuous heavy traffic or data sessions, including, but not limited to, disproportionate web camera posts or broadcasts, automatic data feeds, automated machine-to-machine connections, peer-to-peer (P2P) file-sharing applications broadcast to multiple servers or recipients such that they could enable "bots" or similar routines; (2) as a substitute or backup for private lines or frame relay connections; (3) to send or receive unusually high numbers of messages; (4) to engage in atypical web usage behaviors; (5) for any activity that adversely affects the ability of other people or systems to use either our wireless services or other parties' Internet-based resources; and (6) for any other reason that, at our sole discretion, harms our network or disproportionately impacts our network or resources. i Luv Wireless, LLC. Text Message services are provided solely for live messaging purposes between two individuals & as otherwise described in this policy. i Luv Wireless Text Message services may not be used for any commercial or other similar purposes including, but not limited to, (1) Premium SMS which utilizes short codes; (2) SMS chat programs; (3) monitoring services; (4) data transmissions; (5) or other connections that do not consist of uninterrupted live messaging purposes between two individuals; and (6) for any other reason that, at our sole discretion, harms our network or disproportionately impacts our network or resources. Any wireless unit used by you in connection with the Service must be technically and operationally compatible with our wireless systems and must comply with the rules and regulations of the Federal Communications Commission. We will provide you with a telephone number for your Service. Only one wireless telephone unit may use any particular assigned telephone number. Except for any rights granted to you by federal law, you have no property right or other proprietary interest to your assigned number, and we reserve the right to change your assigned number or assign that number to someone else. You may choose to have your current number ported to us. You may choose to send your current wireless number to a new service provider, in which case, we will send that number to the new service provider. These arrangements are known as "porting". If you choose to have your number ported to a new service provider, we will interpret that request as a notice from you to terminate our service for that number once the porting has been completed. i Luv Wireless, LLC. is entitled to charge a Fifty Dollar ($50.00) processing fee to effect the porting of your Number to another carrier. The mobile phone number (your "Number") used on our service and/or assigned to your i Luv Wireless, LLC account may be "ported" if you discontinue Service as long as your account is active. If you cancel your service or your account balance has been inactive for (45) forty-five days or more your account will be deactivated and your mobile phone number will be given to another customer without notice. Please be aware that your name and Number may be displayed on the phone of a person you are calling if that person has caller identification activated. Upon your acceptance of this agreement and Service, all risk of loss, theft, damage or destruction of your Device is borne by you. If your personally owned mobile phone or Device is lost or stolen, you are responsible for any and all minutes that may be used or charges incurred and notify us of the loss of your Device or mobile phone by visiting our website Customer Service link or by calling the customer service phone number listed on the website. Upon receiving notice that your Device or mobile phone has been lost or stolen, we will suspend your account. If you do not activate a new mobile phone or Device, or notify us that you have found our recovered your old mobile phone or Device within 30 days, your account will be deactivated and we will access you a termination charge equal to the balance in your account, which is not refundable, and you will lose your phone number. We have a duty under federal law to protect the confidentiality of information about the quantity, type and destination ofyour use of our service. We won’t share information about you without your permission unless required by law or by legal process or to protect our rights or property. You consent to our sharing such information with our affiliates to develop or bring to your attention new products and services or in the event of a merger, sale of assets or acquisition in which your confidential information would be transferred as a business asset. This consent is valid until revoked by you and will survive the termination of this Agreement. You acknowledge that our systems use radio signals to transmit voice and data communications and that the Service may not be completely private. You acknowledge through our implementation of federally mandated E911 services, we will have the ability to track your location while you are using your wireless phone. We may also share your account information to initiate, render, bill and collect for the Service or to protect users of those Services from fraudulent, abusive or unlawful use of the Service, or if we reasonably believe that an emergency involving death or serious bodily injury requires disclosure of such information without delay. i Luv Wireless, LLC. makes no warranties, express or implied, with respect to service or equipment, including any implied warranty of merchantability or fitness for a particular purpose. You acknowledge that all equipment has been determined solely by you to be suitable for its purpose, you have selected the equipment supplier, and i Luv Wireless, LLC. has made no representation or warranty with respect to the suitability or durability of the equipment. This Agreement does not deprive you of any rights you may have against any manufacturer or vendor of the equipment. Your sole recourse shall be against the manufacturer or vendor if equipment fails to operate to your satisfaction, or if any other damage is claimed. You agree to hold i Luv Wireless, LLC. harmless from any claims, loss or damage resulting from the use of the equipment and/or damage causedby such equipment. You agree that this Agreement and the i Luv Wireless, LLC. plans and services make up the complete and exclusive Agreement between us. This Agreement supersedes any proposal or prior oral or written agreement. It may not be amended, altered or changed. You acknowledge that no i Luv Wireless, LLC. supplier, employee or agent is authorized to make any representation or warranty with respect to this Agreement, or to waive or alter any provision of this Agreement. If i Luv Wireless, LLC. waives or fails to uphold any provision of this Agreement, it shall not be construed as waiving any other provision. If either party concerning this Agreement initiates legal action, the most prevailing party shall be entitled to recover all costs and reasonable attorney’s fees, including costs and fees on appeal. i Luv Wireless, LLC. may assign all or part of this Agreement by giving you electronic notification and you agree to make all subsequent payments as instructed in such notice. You may not assign your rights or obligations under this Agreement without prior written approval from i Luv Wireless, LLC. . You certify that the information that is provided to us is correct to the best of your knowledge. i Luv Wireless, LLC. reserves the right to immediately terminate this agreement if you knowingly provided false information. i Luv Wireless, LLC. has assumed that you have the legal capacity to enter into this Agreement, but expressly reserves the right to declare this Agreement void in the event you are below the age of eighteen (18). i Luv Wireless, LLC., customers have access to nationwide coverage under the agreement between us and our underlying carriers. Please review the coverage map, which shows a general representation of wireless coverage. The areas shown are approximate. This map may include areas served by unaffiliated carriers and may depict their licensed area rather than an approximation of their coverage. Actual coverage may vary and depends on system availability and system capacity, system repairs and modifications, customer’s equipment, terrain, signal strength, weather and other conditions. We do not guarantee coverage or network availability. Charges will be based on the location of the site receiving and transmitting the call, not your location. Rates apply to calls made within our Coverage Area. You understand that the ability to place a wireless call, including a 911 call, may be subject to limitations of coverage and network capacity and that you should not rely on i Luv Wireless, LLC. service as your only means of communication in emergency situations. i Luv Wireless, LLC. can not be held liable for interruptions in service due to equipment failure, equipment or facilities shortages, strikes, acts of God or other causes beyond i Luv Wireless, LLC.’s reasonable control. i Luv Wireless, LLC.’s liability, if any, in its operation of service or equipment shall not exceed the amount of i Luv Wireless, LLC.’s prorated monthly charge for the service during the period affected. You assume all risk of use of equipment, including the risk of traffic accidents while using the equipment. i Luv Wireless, LLC. will not be liable for any other costs, delays, special incidental or consequential damages, physical harm or any other damage that may be alleged to result from the use of the equipment or service. Service of all notices under this Agreement shall be sufficient if electronically transmitted or posted on our website to the party involved. When you call 911 or other emergency service numbers you may need to tell them your location. If you choose to port your number, you may experience temporary disruption of services during the porting process that may affect the completion of calls to and from your wireless phone, including calls to emergency services. All services we provide to you are subject to our business policies, practices, and procedures, which we can change without notice. Such changes can include but are not limited to over-the-air modification of the software in your wireless phone. We can also change prices and any other terms in this agreement at any time by giving you electronically transmitted notice or posting on our website prior to the billing period in which the changes would go into effect. If the changes adversely affect your monthly rate or service in a material way, your have the right to end this agreement. If you choose to continue to use our service after receiving notice of any changes, those changes will apply to you. I ACKNOWLEDGE THAT I HAVE READ AND UNDERSTAND ALL OF THE CUSTOMER SERVICE AGREEMENT INCLUDING THE GENERAL TERMS AND CONDITIONS. I ACCEPT THIS AGREEMENT BY ACTIVATING MY SERVICE. I AGREE TO BE BOUND THEREBY. BY ACTIVATING AN ACCOUNT YOU ARE ACCEPTING PERSONAL FINANCIAL RESPONSIBILITY FOR PAYMENT OF ALL CHARGES ASSOCIATED WITH YOUR ACCOUNT.